Rotary has shaped my life, from visiting the Rotary International Lounge during the 1996 Olympics in Atlanta, to attending RYLA as a high school student, and being elected the Youngest Club President in the Rotary Club of Santa Barbara’s history, I’m not just a Rotarian, I’m party of the Rotary Family. We are 1.2 million neighbors, friends, and community leaders who come together to create positive, lasting change in our communities and around the world. Our differing occupations, cultures, and countries give us a unique perspective. Our shared passion for service helps us accomplish the remarkable. To me, Rotary is a mix of community and international service, business networking, and spending time with close friends who are happy to donate their time, talent, and treasure. 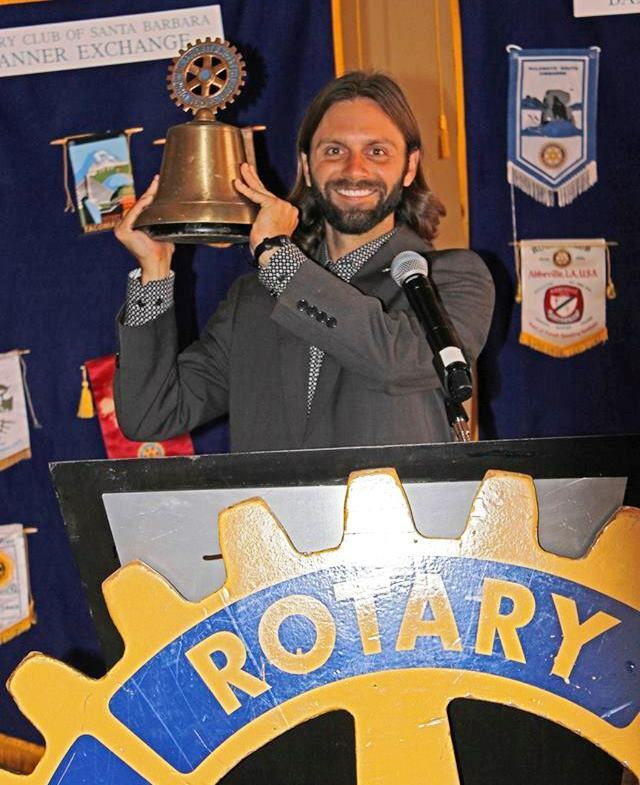 I’m an active member, and Past Club President, of the Rotary Club of Santa Barbara. Being a Digital Nomad means I don’t spend a lot of time in Santa Barbara, but I make up each week at a different Rotary Club meeting. I’ve attended Clubs in Arizona, Indiana, the Pacific Northwest, the Deep South, Key West, and Ecuador. Each Club is different, but one thing is the same, Rotarians are unique people who place the service above self. Personally, the benefits of being in Rotary are incredible as I travel around the world. Each Club I visit welcomes me with open arms. Often the Club Members offer to personally show me around their town, invite me to their home, and make me promise to stay in touch as I continue my travels. Rotary truly is a family. Somehow, with all of my travels, I caught the attention of The Rotarian Magazine and was featured in a full page interview called “Home Is Where The Heart Is“. Check the full article out here. As I travel I give back to my own club by managing their website and social media. For more information about The Rotary Club of Santa Barbara click here.